Never get blocked or misled. NetNut’s architecture is unique in its ability to provide residential proxies with one hop connectivity. The traffic is not routed through end users’ devices so there is no bottleneck in the traffic flow. NetNut guarantees the quality of its service, as all the servers are located on major internet routes or at ISP network connectivity points that are completely controlled by NetNut. All traffic is routed exclusively through the NetNut network; no third party computers are utilized. As a result, there won't be any disconnections or interruptions in the service. Get the most from our residential proxy network with the finest support from a dedicated account manager. Full integration support will be provided together with TeamViewer sessions if needed. You can define Sticky IP using a unique identifier; the system will ensure that each identifier will be mapped to the same exit IP. NetNut provides a unique IP per each browser session and can be seamlessly integrated into any browser. NetNut's residential proxies can deal with all search engines. Each request will generate a new IP to ensure sustainability. Along with the dashboard access, all usage statistics are available in near realtime for retrieval via a simple API. Fully optimized proxy URL for target sites will be provided to ensure maximum speed and the highest success rate. Exit nodes are located in major internet exchanges and data hubs to ensure less than 1ms latency from the target websites. Receive username and password upon registration. 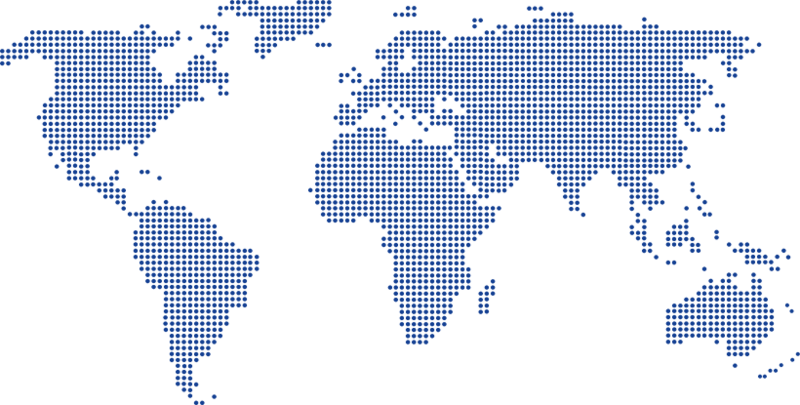 Configure your crawler to connect to the network by using these credentials and select your country with a specific proxy URL. NetNut residential proxy network will transparently perform load balancing to connect you to the destination URL, ensuring complete anonymity and high speed. As needed, configure Sticky IP or create sub-users under your account. You will be provided with access to a realtime dashboard with updated statistics including total usage, usage per country, number of requests and sub-user information. With NetNut reseller program, you can create sub-users and manage their usage efficiently. Ad networks use NetNut to anonymously view their advertisers’ landing pages to ensure they don’t contain malware, or improper advertising. If ad networks used a regular server based proxy network, the malicious advertiser would know he’s being checked, and could cloak them with a different message. They use NetNut to collect this data without being blocked or deceived. How do I set up a NetNut free trial account? How is NetNut different from other providers? While other providers are using a peer to peer (P2P) networks, the NetNut service depends on the unique position and location of DiViNetworks’ existing data delivery and network management solutions. DiViNetworks provides services to over 100 ISPs from tens of point of presence (PoPs) around the world. DiViNetworks has created a global proxy technology and network where hundreds of servers are managed by the company and located in different ISPs worldwide. In addition, the network has the ability to manage 100’s of Gbit/sec of network traffic, allowing any customer to access content and data from any web source. The result is a highly secure and scalable managed network with unprecedented availability. DiviNetworks is a world leader in the data delivery network field; with the right architecture on your side, you can achieve a failure rate of less than 1%. Our pricing plans are on a month-to-month basis; you may change plans from month to month based on your bandwidth needs. The use of a crawler to extract data from a website may be done legally in relevant business relations. Under certain circumstances and in some specific jurisdictions, crawling may be in conflict with applicable regulation or in violation of the particular terms of service of the crawled site. Therefore, prior to engaging in crawling activities of any sort, you should consult with a lawyer authorized to provide legal advice in your particular area, and carefully read the applicable terms of service. Is there any way that the target website can trace the origin to us? No, we secure the traffic at the IP level. Traffic to websites originates at residential IP addresses that are not associated with your company or your location. All traffic is also encrypted. You are responsible to secure every other part of your system. The bandwidth volume for which we bill is the sum of data transmitted to and from the target site: request headers + request data + response headers + response data. Why is NetNut faster than other proxy solutions? NetNut has a built-in smart IP rotation management layer. Each request you make goes to one of our super proxies (load balancing servers), which then provide you with the IP address that is most likely to be available in the requested location. The t proxy allows for an unlimited number of concurrent sessions and has an extremely high success rate. To speed up NetNut use, it is advisable to initiate as many concurrent sessions as required. Using NetNut and the right architecture, you will outperform any other solution. Do you have a pricing plan that includes an unlimited volume of data? No, our pricing model is based on bandwidth usage. The rate per GB is based on a minimum monthly commitment; the higher the commitment, the lower the rate. You are entitled to a 7-day free trial to evaluate our solution and to determine your expected monthly bandwidth usage.